We are pleased to announce that the Harinder Veriah Trust has been selected as a recipient trust for donations to the 7th Paris Peking Motor Challenge rally. An HVT sticker will travel from Beijing to Paris along with Douglas and Mike McWilliams (whose journey has been sponsored by the Centre for Economics and Business Research), on the rally car- a beautiful 1958 Bentley S1 (pictured below). 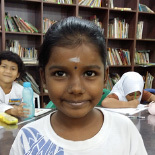 Donations to the rally will help to support the Trust’s work sponsoring the education of girls at the Assunta Primary and Secondary Schools in Petaling Jaya. A crowd-funding page will be made live on 1 May 2019, that will allow supporters of the Trust to sponsor the rally either per mile (the rally is a total of 15,000 miles) or by general donations. For more information and regular updates, please do follow the HVT website. You can also keep up with the rally live on the website here!